If you are looking to select a Medicare Advantage Plan contact The Mair Agency today at 1-855-ITS-BLUE. 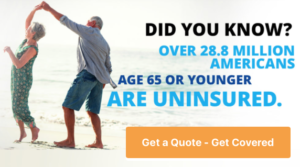 Medicare Advantage plans are types of Medicare health plans that are offered by private companies that contract with Medicare. These types of plans feature a number of benefits you can depend on. For instance, many of them include coverage for prescription drugs while some include vision or hearing benefits. However, these benefits are not set in stone and may change from year to year. If your current Medicare Advantage Plan covers a prescription medication you take daily for your chronic illness, you may find that the plan has changed its list of covered medications and your medication is no longer on there. If this is the case, rest assured you have options. You may make changes to your plan during the Medicare Advantage Open Enrollment period, which will run from January 1st to March 1st, 2019. Since it can be difficult to determine the best plan for your particular needs, we encourage you to reach out to one of our Medicare experts. We can help you understand all of your option and make an informed decision. For assistance with choosing a plan during the Medicare Advantage Open Enrollment period, call us today at 1-855-Its-Blue.